The toys-to-life fad is pretty much over, at least in the eyes of Disney, who is shutting down its entire range of passable action-platformers supported by piles of plugin toys, and parents’ bank accounts. 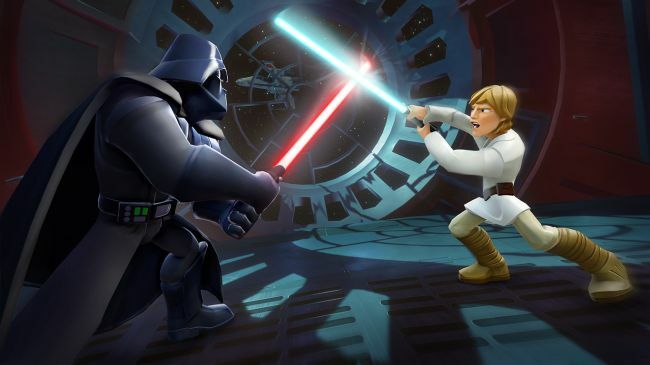 If you own Disney Infinity 1, 2 or 3 you’re probably wondering what’s going to happen to all your stuff, and Disney has now provided a detailed schedule revealing when every version will be taken offline. The good news is that the console and Steam versions of Disney Infinity 2.0 and 3.0 will remain playable offline indefinitely, although from September 30 you won’t be able to go online or access community features, including ‘Toy Boxes’ created with the games’ level editor. As the PC versions include extra characters and worlds as DLC, rather than as physical toys you shove into a ‘base station’, It’s unclear whether you’ll still be able to access them offline, but if it functions the same way as other discontinued Steam games, that should theoretically be possible. Confusingly, Disney lists three separate PC versions of the two Infinities that came to PC: Windows 8, Windows 10, and Steam. From March 3, the Windows 8/10 versions will “no longer be available, supported or playable”, while on the same day the games’ online services/community features will be shut down across the board. Disney Infinity 2.0, 3.0, and a big pile of DLC for the third game, are all still available on Steam, at least for the time being, though I wouldn’t recommend buying any of it, for obvious reasons.